I started training with Dave in 2011. As I put on a middle age spread I was keen to get back into shape. Working with a personal trainer once a week helps keep my training in focus and now forms an integral part of my overall exercise regime. He structures my programme to suit my individual goals and targets and encourages and pushes me beyond what I capable of doing alone. I am fitter, stronger and have a better physique than ever before in my life. 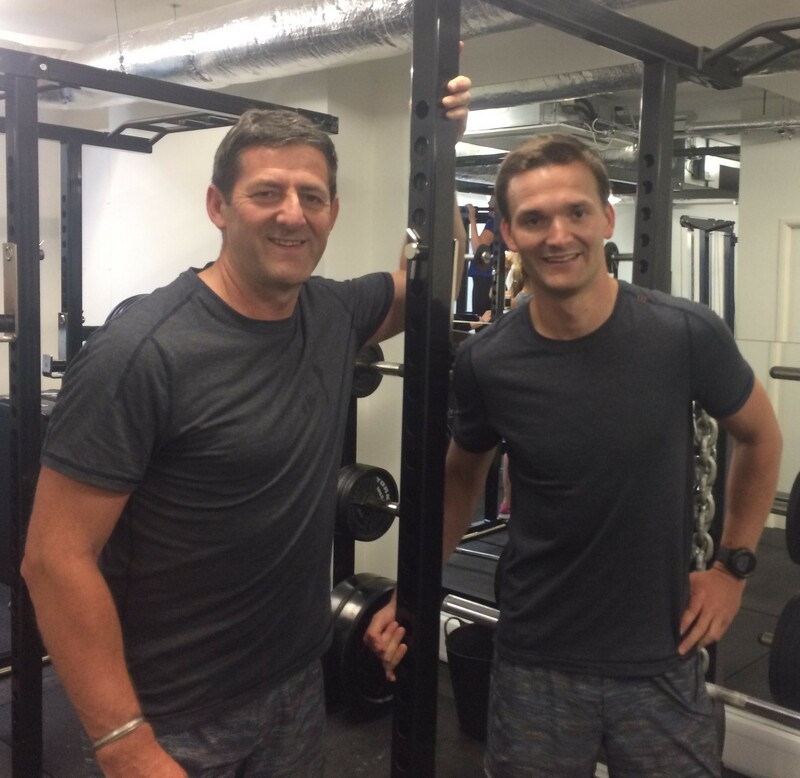 Dave was invaluable in taking me through rehabilitation and strengthening work after a knee operation and I am now participating in distance running and cycling events and have completed a triathlon: something I never thought I would do! My son, Ben, has also recently started joining my personal training sessions. Sharing sessions has introduced more fun, enthusiasm and a little competitive edge to the work out to ensure we continually raise the bar, outside of being good father-son time! I find the pace of the session is even better regulated when the focus is not entirely on me, and watching Dave tutor Ben helps to improve my own technique. Just as importantly though, training is more enjoyable with lots of banter. Dave is very personable and makes training interesting and enjoyable, I cannot recommend him, or The Fitting Rooms, highly enough.